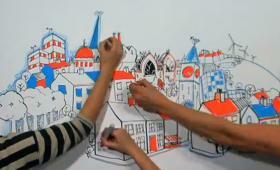 Neighbourhood Planning started in 2012 and gives local communities a real say in how their areas are developed. Local people – through Neighbourhood Forums or parish or town councils – can design a plan that has authority and can shape how their communities develop over the next generation. Consultation is the key to a successful plan and Standish Voice will be consulting widely throughout the village to ensure we get a plan that suits the majority. The plan has to be for a designated Neighbourhood Area, an area that needs to be agreed by the local authority. Wigan Council has a duty in law to help Standish Voice produce the plan and the plan must comply with the borough’s Core Strategy. The plan can shape the future development of land in relation to transport, retail, leisure and amenities, housing and employment. It can deal with issues relating to Standish’s heritage and environment and set out a vision for the village. When the plan is produced, it needs to be sent to interested groups for consultation and also must be examined by a planning expert before it is put to a referendum in Standish. Everyone on the electoral role in the Neighbourhood Area can vote in the referendum and if a simple majority of those voting (over 50%) say ‘yes’, then the plan is passed. The Neighbourhood Plan would then form part of the borough’s Local Development Plan. When the plan is in place, the Neighbourhood Forum can grant planning permission for certain kinds of development through Neighbourhood Development Orders and Community Right To Build Orders. There are government created organisations and charities which can help communities to create their plans through the offering of expertise and grants, such as Locality and Civic Voice, and Standish Voice is working with both of these organisations. Below are some documents with more information on Neighbourhood Planning.